Clinton Richard Dawkins, FRS, FRSL (born 26 March 1941) is an English ethologist, evolutionary biologist and author. He is an emeritus fellow of New College, Oxford, and was the University of Oxford's Professor for Public Understanding of Science from 1995 until 2008. Dawkins came to prominence with his 1976 book The Selfish Gene, which popularised the gene-centred view of evolution and introduced the term meme. In 1982, he introduced into evolutionary biology the influential concept that the phenotypic effects of a gene are not necessarily limited to an organism's body, but can stretch far into the environment, including the bodies of other organisms; this concept is presented in his book The Extended Phenotype. Dawkins was born in Nairobi, Kenya. His father, Clinton John Dawkins (1915-2010), was an agricultural civil servant in the British colonial service in Nyasaland (now Malawi). 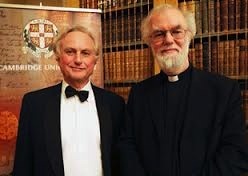 They returned to England in 1949, when Dawkins was eight. His father had inherited a country estate, Over Norton Park, which he turned into a commercial farm. Both his parents were interested in natural sciences; they keenly answered Dawkins's questions in scientific terms. 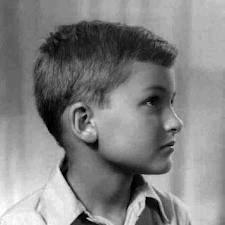 Dawkins describes his childhood as "a normal Anglican upbringing". He was confirmed, and embraced Christianity until his mid-teens, at which point he concluded that the theory of evolution was a better explanation for life's complexity, and ceased believing in a god. Dawkins states: "the main residual reason why I was religious was from being so impressed with the complexity of life and feeling that it had to have a designer, and I think it was when I realised that Darwinism was a far superior explanation that pulled the rug out from under the argument of design. And that left me with nothing." He attended Oundle School, an English public school with a distinct Church of England flavour, from 1954 to 1959. He then studied zoology at Balliol College, Oxford, graduating in 1962; while there, he was tutored by Nobel Prize-winning ethologist Nikolaas Tinbergen. He continued as a research student under Tinbergen's supervision, receiving his M.A. and D.Phil. degrees by 1966, and remained a research assistant for another year. From 1967 to 1969, he was an assistant professor of zoology at the University of California, Berkeley. During this period, the students and faculty at UC Berkeley were largely opposed to the ongoing Vietnam War, and Dawkins became heavily involved in the anti-war demonstrations and activities. He returned to the University of Oxford in 1970, taking a position as a lecturer. In 1990, he became a reader in zoology. In 1995, he was appointed Simonyi Professor for the Public Understanding of Science at Oxford, a position that had been endowed by Charles Simonyi with the express intention that the holder "be expected to make important contributions to the public understanding of some scientific field", and that its first holder should be Richard Dawkins. On 19 August 1967, Dawkins married fellow ethologist Marian Stamp but they divorced in 1984. Later that same year, he married Eve Barham. They had a daughter, Juliet Emma Dawkins before they also divorced. In 1992, he married actress Lalla Ward whom he met through their mutual friend Douglas Adams, who had worked with her on the BBC's Doctor Who. Dawkins coined the word meme (the behavioural equivalent of a gene) as a way to encourage readers to think about how Darwinian principles might be extended beyond the realm of genes. Dawkins's meme refers to any cultural entity that an observer might consider a replicator of a certain idea or complex of ideas. He hypothesised that people could view many cultural entities as capable of such replication, generally through exposure to humans, who have evolved as efficient (although not perfect) copiers of information and behaviour. Because memes are not always copied perfectly, they might become refined, combined, or otherwise modified with other ideas; this results in new memes, which may themselves prove more or less efficient replicators than their predecessors, thus providing a framework for a hypothesis of cultural evolution based on memes, a notion that is analogous to the theory of biological evolution based on genes. 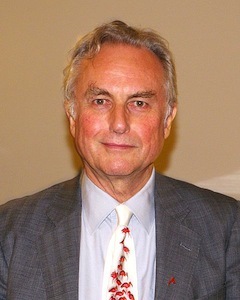 Although Dawkins invented the specific term meme independently, he has not claimed that the idea itself was entirely novel Author James Gleick describes Dawkins's concept of the meme as "his most famous memorable invention, far more influential than his selfish genes or his later proselytizing against religiosity". Dawkins is a prominent critic of creationism (the religious belief that humanity, life, and the universe were created by a deity without recourse to evolution). He has described the Young Earth creationist view that the Earth is only a few thousand years old as "a preposterous, mind-shrinking falsehood", and his 1986 book, The Blind Watchmaker, contains a sustained critique of the argument from design, an important creationist argument. In the book, Dawkins argues against the watchmaker analogy made famous by the 18th-century English theologian William Paley via his book Natural Theology, in which Paley argues that just as a watch is too complicated and too functional to have sprung into existence merely by accident, so too must all living things-with their far greater complexity-be purposefully designed. Dawkins shares the view generally held by scientists that natural selection is sufficient to explain the apparent functionality and non-random complexity of the biological world, and can be said to play the role of watchmaker in nature, albeit as an automatic, nonintelligent, blind watchmaker. In a December 2004 interview with American journalist Bill Moyers, Dawkins said that the theory of evolution was "rather like a detective coming on a murder after the scene... the detective hasn't actually seen the murder take place, of course. But what you do see is a massive clue... Huge quantities of circumstantial evidence. It might as well be spelled out in words of English." Dawkins is an outspoken atheist and a supporter of various atheist, secular, and humanistic organisations. Although he was confirmed into the Church of England at the age of thirteen, he started to lose his religious faith when he discovered Darwin. He revealed that his understanding of evolution led him to atheism and is puzzled by the belief in God among scientifically-literate individuals. He disagrees with Stephen Jay Gould's principle of non-overlapping magisteria and considers the existence of God to be just another scientific hypothesis like any other. Dawkins became a prominent critic of religion and has stated his opposition to religion is twofold: Religion is both a source of conflict and a justification for belief without evidence. He considers faith-belief that is not based on evidence-as one of the world's great evils. He rose to prominence in public debates relating science and religion since the publication of his book The God Delusion in 2006, which became an international best seller. Its success has been seen by many as indication of the rise of New Atheism. Dawkins' advocacy of atheism has been controversial. 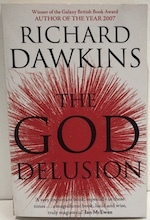 Writers such as Christopher Hitchens, Nobel laureates Sir Harold Kroto and James D. Watson and psychologist Steven Pinker have lavished praise on his book, The God Delusion. In contrast, literary critic Terry Eagleton, theologian Alister McGrath, and science philosopher Michael Ruse have accused Dawkins of being ignorant of theology and therefore unable to engage religion and faith intelligently while scientists Martin Rees and Peter Higgs have criticised Dawkins' confrontational stance towards religion as unhelpful, with Higgs going as far as to label him a fundamentalist. In response to his critics, Dawkins maintains that theologians are no better than scientists in addressing deep cosmological questions and that he himself is not a fundamentalist as he is willing to change his mind in the face of new evidence. Keats accused Newton of destroying the poetry of the rainbow by explaining the origin of its colours. Dawkins argues that Keats could not have been more mistaken, and shows how an understanding of science enhances our wonder at the world around us. This is a "hymn of praise" to the scientific attitude, often maligned for alienating our relationship with nature. He shows how science, properly understood, does not disenchant nature, but rather enhances the poetry of experience by revealing the workings of the natural world in their full wonder. The book's complementary strand is a polemic against anti-science movements of all types. Why do poets and artists so often disparage science in their work? For that matter, why does so much scientific literature compare poorly with, say, the phone book? 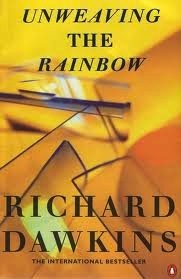 After struggling with questions like these for years, biologist Richard Dawkins has taken a wide-ranging view of the subjects of meaning and beauty in Unweaving the Rainbow, a deeply humanistic examination of science, mysticism and human nature. Notably strong-willed in a profession of bet-hedgers and wait-and-seers, Dawkins carries the reader along on a romp through the natural and cultural worlds, determined that "science, at its best, should leave room for poetry." "An extended rebuttal - not so much by argument as by radiant example - of perennial anti-science convictions. Few among us are better qualified for the job. If any recent writing about science is poetic, it is this." Available for £19.99 with FREE delivery for UK addresses. Please contact us to discuss possible shipment overseas. Specially revised and updated for this paperback edition. This controversial book makes easy if uncomfortable reading for some and enlightening reading for others. Either way a must read book. FREE delivery for UK addresses. Andrew Wilson subjects the arguments of Richard Dawkins 'The God Delusion' to rigorous analysis. This book is for anyone who wishes to see through the rhetoric to the real issues at stake. Available for £7.75 with FREE delivery for UK addresses. Available for £2.99 with FREE delivery for UK addresses. All plus £2.80 p&p (UK). Here on the cj-books-etc website we specialise in certain areas to bring you a great selection of often unique books and puzzles. We also have thousands of other items available for sale but our website at the moment only shows our selected items, mainly in our specialist areas. The selections on offer on our website are increasing all the time but for general books and puzzles, on all subjects, it is best to simply contact us direct with details of any item you are looking for as we may well have it in stock! And if not, then there is always our Finding Service for those hard to obtain titles, be it an out-of-print book, a specific edition, or out-of-production jigsaw etc. 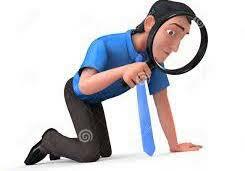 We have many very satisfied clients who have used our finding service again and again confident in the knowledge that we will try our hardest to find them the item they want at a reasonable price and in as good a condition as possible. So just contact us with details of the item and we'll do all the hard work for you. 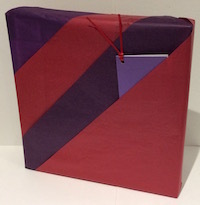 For that special gift, why not add gift wrapping to your order. This is available for £2.00 per item. Gift wrapping can be added to your order at checkout. Don't forget to let us know the wording for the gift card. Thomas Kinkade was one of the most successful painters of modern times, and Kinkade jigsaws are a joy to behold and a pleasure to complete. 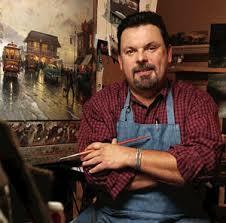 Read more about the 'Painter of light' and see our items for sale on our feature page.